What's on TV Magazine Competitions | Prize Draw - Win a city centre escape in Bristol! Win a city centre escape in Bristol! We are offering two lucky readers the opportunity to win a fabulous city centre escape in Bristol, courtesy of Mercure Hotels. 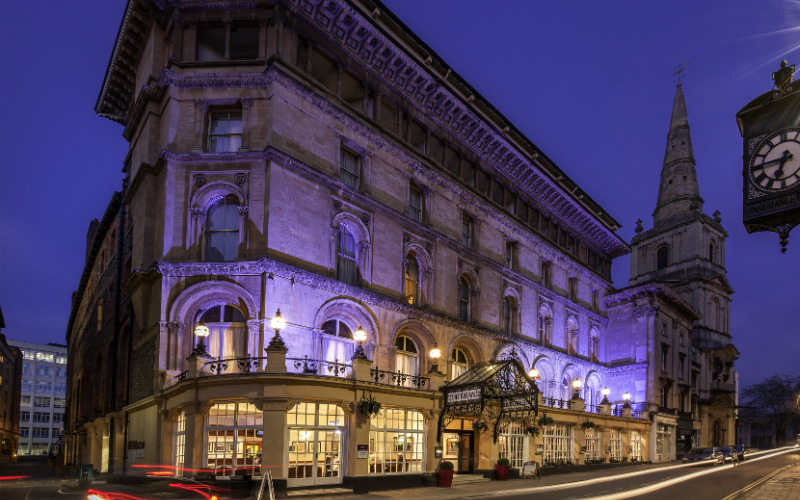 You will be staying at the four-star Mercure Bristol Grand on Broad Street, which has had an extensive makeover giving the historic Grade II listed building a stylish and distinctive new look and feel for 2017. The fresh interior draws inspiration from the city’s independent art scene and the building’s rich historic past to create a classic yet contemporary finish. The sumptuous rooms offer a range of double, family, twin and suites to accommodate the needs of every guest – each featuring warm, subtle hues combined with splashes of vibrant colour. The artworks reflect Bristol’s flourishing artistic community, giving the historic property a rebellious streak, whilst retaining the grandeur of the building’s past. Furnishings in deep accent colours create comfort and combine rich, contemporary fabrics with tough industrial design in wood and metal to give a modern and original look that reflects the city’s shipping heritage. In the bathrooms, classic clean design is combined with luxurious touches including waterfall showerheads and stylish patterned floor tiles. You and your guest will be invited to enjoy breakfast and dinner in the newly renovated Keepers Kitchen and Bar where a selection of much loved British meals created using quality, locally sourced ingredients along with a wide selection of fantastic drinks are served. You will also enjoy a wide range of hospitality and leisure facilities throughout your stay, including relaxing in the calming indoor heated swimming pool, sauna and Jacuzzi or working up an appetite in the modern fitness centre. Visit Mercure.com to find out more.